In those final three miles of the Surf City Half Marathon two weeks ago I had a lot of thoughts. Some good, but mostly bad. I wasn’t going to achieve my goal of a sub 1:45 half marathon. What did that mean? According to McMillan’s Pace Calculator, the equivalent half marathon time to my goal BQ time is 1:42 and I couldn’t even run 1:45. I had three months to get faster and negative thoughts were flooding my brain about whether or not it was even possible for that to happen. One of the ideas that popped up during those painful miles was to hire a running coach. I knew I had a very short window of time until my race and there wasn’t any time for errors. 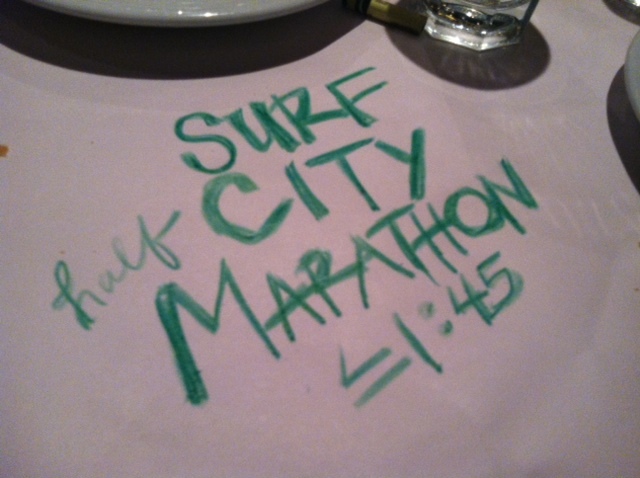 My performance at Surf City was a huge success in that it was a PR of 5 1/2 minutes from just 4 months ago. The race showed me that I am making progress and that there is definitely a possibly that I can continue on this path and BQ at Eugene.At the same time, it also showed me that I could possibly come very close to my goal without achieving it. Coming off of a big training year for the Ironman and now a six month training cycle for this marathon, I really don’t want to run another marathon this year. If it doesn’t happen at Eugene, I’m not sure I will be signing up for another full marathon this year. I want to give Eugene everything I’ve got. Maybe a coach can help me look better during the race too? A coach can be extremely beneficial to any athlete. They give you a second opinion on your training and utilize their vast experience coaching other athletes to give you solid advice for training and racing. Although training plans from books and websites will get you to the finish line, they won’t always get you there as fast as you could possibly go. I knew this when I was training for the Ironman but I decided not to hire a coach then. My goal for the Ironman was to finish and I was confident that my self-coaching would get me to the finish line. Now my goal is to run very fast for a very long period of time and I’m not as confident that I have the knowledge and experience to adjust my training plan to get me there. I don’t want to take any chances, and that is why I decided to hire a coach. I immediately thought of two coaches. The first, Maria Simone, a friend and mentor that I met through blogging/twitter who has given me some valuable advice over the last year. 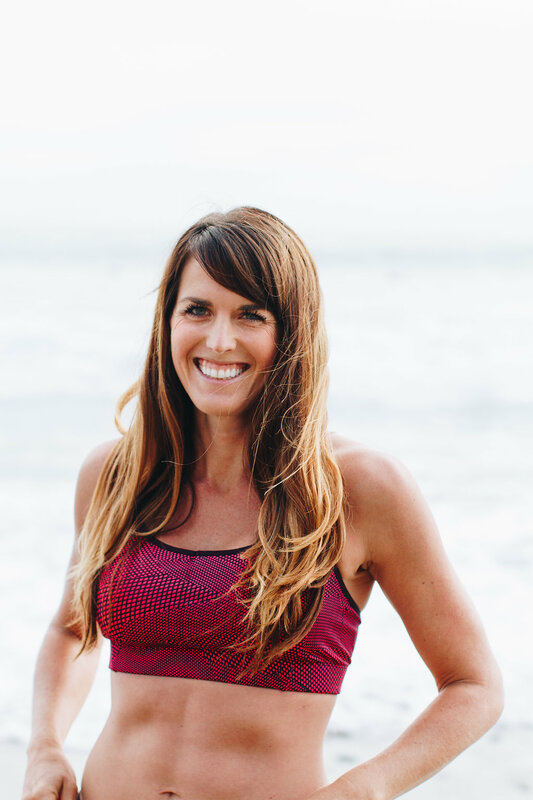 Maria recently started her own triathlon coaching business called No Limits Endurance with her husband, a Kona qualifier. 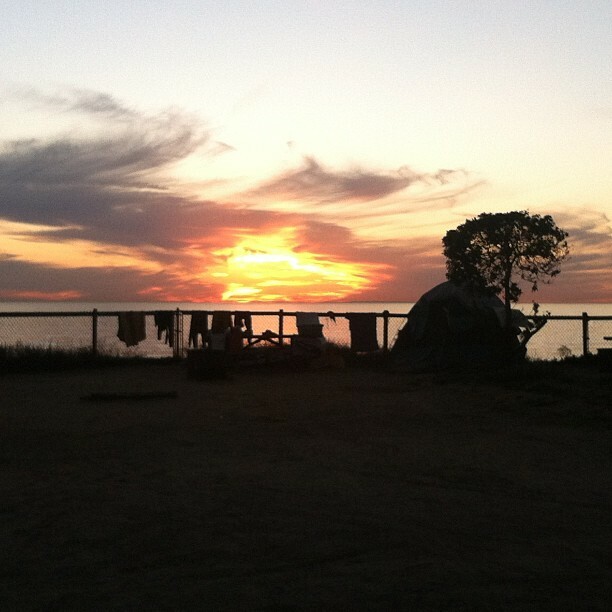 The second is Mike Plumb, a San Diego triathlon and running coach who coaches a free track workout on Tuesday nights. About a year ago, I attended a few of these Tuesday night workouts. Afterward, I met a triathlete who was training for her first Ironman and was coached by Mike. She recommended him highly. In the end, I went with Mike Plumb because he is local. I wanted a coach that I could meet in person if necessary and I also liked the idea of possibly seeing him weekly at his free track workouts. Mike has been a competitive runner himself since 1977 and a triathlete since1984. At one point he was a pro triathlete and has coached high school cross country. When I went to the track workouts last year I met a girl who is coached by Mike and later found out that she regularly wins her age group at marathons. He has years and years of experience coaching runners as well as triathletes that he can use to help me achieve my goal. He is also extremely affordable, at only $85/month. I had a very long phone conversation with Mike after a few initial email exchanges and I knew after that call that he would be my coach. He had analyzed the Garmin data I sent him and was clearly very excited to take me on as a client. He offers unlimited contact and said that since my goal is fairly unique being that it’s only 12 weeks away and I have a specific time in mind, we’d be communicating more than he does with other athletes. He is pretty confident that he can get me to where I need to be to achieve my goal and I am very excited about working with him! This week was my first week with his plan. Luckily, he likes my routine of Sunday long run, Monday yoga, Tuesday recovery run, Wednesday Tempo/Intervals, Thursday Strength, Friday mid-week long run, Saturday recovery run. I enjoy having a fairly consistent week to week schedule and that is his philosophy as well. He also agreed that I can use the San Diego Half Marathon as a marathon-pace run and I can race the Hot Chocolate 15k. Even though my training plan isn’t changing a lot in terms of structure, there are some definite changes in the workouts. No more Yasso 800s. Instead, there is more tempo work. There will also be tempo intervals in my long runs every other week. My mid-week long runs will have a goal pace (usually I just kind of run these easy). This week I was pleasantly surprised with my performance using the instructions he gave me. I hit all my intervals and ran all of my key workouts with a faster average pace than I’m used to running. The tempo workout that he gave me seemed like it would be easy based on the interval times and pace, but once I realized there was only 1 minute rest between, it turned out to be a very challenge, yet confidence boosting, workout. So far, so good! Despite finally catching the cold that has been going around, I was able to have a good training week (rest if in the chest, keep training if just in the head is my motto). I am excited about this change and I think it will give me even more confidence in my training come race day morning. Now it’s time to put in the work! Only 10 weeks to go!!! Do you use a coach? What pros and cons have you found from using one? You will do GREAT with professional coaching! Interesting read! Curious of your thoughts of a complete rest day. Good luck with your training! Yup yup, very smart move. It’s so helpful to have somebody to guide you towards better times, which involves walking that very fine line between pushing too hard and not pushing enough. My coach has helped me improve so much, I’m excited to see how much faster you get working with yours! I would LOVE to have a coach, so I found this very interesting. These Tuesday track workouts don’t happen to be with the San Diego Track Club, do they? Because I’m going to one on Tuesday (the Metro one). So Eugene is your BQ goal race? HOW EXCITING!! When is it? If you ever want a long run buddy, I’m here! I’m running 20 this upcoming weekend probably in your neck of the woods. I’m thinking of practicing MP for the 12 miles in the middle with a 4 mile gradual warm up and 4 mile cool down of sorts. No the Tuesday track workouts are at a high school in Carlsbad! I have been interested in checking out the Track Club as well since I trained for my first marathon with the Vavi Running Club. I’d be joining the North County Track Club if I ever did though since downtown/mission beach where the Track Club meets is a little far for me. Eugene is the BQ race! It is April 28 so I have 10 weeks to go. Since my coach gives me pretty specific paces for my long runs and you are faster than me, I’m not sure that a long run would work right now, but I bet we could make another run work! I usually do my long run Sundays so I do a shorter, easy run on Saturdays – we could meet up for something like that and breakfast or something! I am someone who does not use a coach – as I think the training plans I have found seem to be working. However, I always second guess myself and wonder if I had more structured workouts if I could get faster? Or maybe I’m just not pushing myself enough and don’t really know what pace I should be swimming, biking, or running at? Ahhh. I will prob go this yr again without a coach and hope for the best, although every one seems to be getting a coach. Sorry for rambling. Yeah it’s a tough decision! I don’t plan to continue to use a coach after I get my BQ – it’s really just a means to an end. I can’t justify the cost otherwise! I have made some huge strides self-coaching so I definitely don’t think it’s required! oh exciting! I always wanted to get a coach but never wanted to spend the money. I hope he gets you to a BQ! Nicole – I’m flattered that I was on your short list – thanks for thinking of me! I completely understand and support your decision to go local. It makes perfect sense in your case – especially with a short amount of time to go.